Kouros of Anavyssos statue. 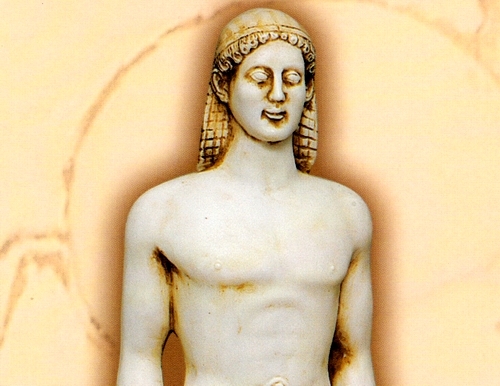 Statue of a male kouros found in Anavyssos, Attika. Dated 550 B.C. National Archaeological Museum, Athens.